Building a Successful MLM Business Online - Moneyhome.co.uk - The Best Moneysaving Blog ever! Did you know that 8 out of 10 companies fail in the first two years? In fact, according to Bloomberg research, roughly 80% of inexperienced entrepreneurs who start a business fail in the first eighteen months, and furthermore, a whopping 96% of businesses fail within ten years. Starting and maintaining any business can be hard, but developing a multi-leveled marketing network may be even harder. 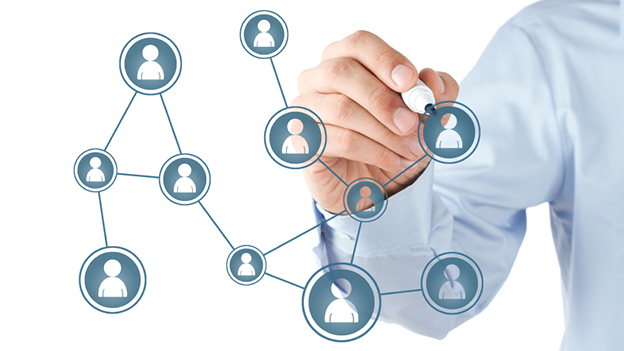 Over the years, many misconceptions about MLM networking scared many people off and led to a low success rate in the business, but an MLM business is not predestined to fail. Like in any other business branch, if you want to run a successful company, there are certain steps to be taken to make sure that you set a solid foundation right from the get go. Therefore, if you want to succeed in the world of multi-leveled marketing, consider following the next steps. If you are new to the business, just know that everything begins with a capture page – a one page site that is designed to capture the attention of your prospects and persuade them to give you their full name and email in exchange for a report, video or a free eBook. Creating a quality capture page is fairly simple – you could hire someone to design it for you for a few hundred dollars, or you can even make it yourself using WordPress. Just make sure not to use any popups –in a Nielsen Norman Group survey, 95% of users reported that popup elements negatively affect their online experience. Once you create your capture page, you need to start building a list of people who gave you their permission to contact them – the sooner you start building your list, the better. Moreover, you need to get an auto-responder – the software that allows you to create, edit and manage an email list automatically. You should get one of the better-known and trustworthy auto-responder services like Mail Chimp or Get Response and start sending at least two emails every week. While most of the people on your list will not buy anything from you for the first couple of months (or even in some cases, years) you have to remember that people usually buy things from people they know and trust. In some cases, people need to see a message more than ten times before they respond to it favorably and in order to do that, you need to follow up. Just remember, your goal is not only to sell, so focus on educating your prospects by sending informative videos, referring them to MLM marketing training courses such as Yoobly or helping them solve their problems yourself. Your main goal is to create your own primary MLM Company, and if you follow all of the steps above, it will happen naturally. As you cultivate a great relationship with the people on your list, many of them will want to become a member of your team. It is a good idea to put a few emails about your primary company in your auto-responder – and if the people are interested, they will sign-up on their own. After a few years, you will have a sizeable team of distributors that will provide you with a nice residual income. While you need to master many online marketing techniques if you want to run a successful business, you still need to do some things offline. Therefore, when you meet people in person, make sure to share your business opportunity with them and help them get started. In addition, offline skills are also important because you need a game plan for all of the people you sponsor who do not want to build their business on the internet.